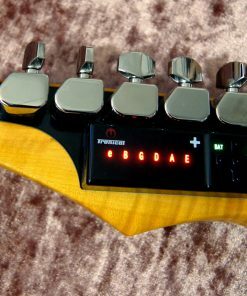 Uli loves the TRONICAL POWER TUNE SYSTEM and it comes pre-installed with every UJR Sky Guitar. 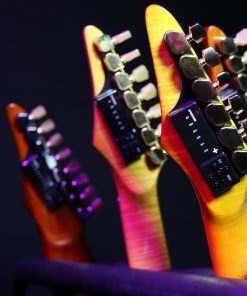 Complete with an app, this system tunes the guitar to perfection in seconds and offers many interesting possibilities, including alternative tunings. So far, the system is only available for 6-string guitars unfortunately, although this is going to change in the near future. 7-String models will come installed with the Tronical Tuning System regardless, but the last string will still need to be tuned by hand. This is a small compromise, but Uli does the same on his 7-String guitars and it is never a problem.